At a 1907 meeting of the Royal Geographical Society, in London, William Hunter Workman, M.D. 1873, spoke of his recent expedition into the Nun Kun area of the Himalayas. In introducing Workman, the society’s president said that only three climbers to date—Workman, his wife, and another RGS member—had pushed beyond 23,000 feet. Because the RGS allowed women into meetings as invited guests, the president explained Fanny Workman’s conspicuous absence by noting that she was doing “something more arduous than climbing 23,000 feet”: giving 30 lectures on her mountaineering successes in 37 days. Following her seventh and final trip into the Himalayas, the RGS included her in the first group of women to be awarded membership. The Himalayan expeditions affirmed Fanny Workman’s ambition and daring, but it was her numerous publications and their attentiveness to “glaciation” and “other scientific directions” that earned respect from the RGS. Nevertheless, Workman herself was fiercely competitive and intent upon setting records: she believed that the best way to win recognition for her accomplishments was to campaign for a more precise definition of mountaineering achievement and insist upon better monitoring. Wealth and status had greatly aided young Fanny Bullock’s exceptional enthusiasm for sport. (Her father had been mayor of Worcester, governor of Massachusetts, and one of that state’s richest men, thanks to his wife’s dowry.) After privileged schooling in New York and Europe, she married William Workman, and their combined inheritances enabled them to quit Worcester, relocate to Europe, and undertake a series of bicycle trips that extended ever further afield—initially to cities nearby, eventually to Egypt. From the outset, Fanny Workman resisted expectations that she be a devoted mother; increasingly, she pursued the more fulfilling identity of an adventurer and author. In books jointly written with her husband (but mostly by her), she recounted their bicycle trips to Algeria and Spain and repeatedly denounced the mistreatment of women there. In 1897, the Workmans embarked upon a two-and-a-half-year circuit of India and neighboring countries. To escape the searing summer heat, they headed north into the mountains and went trekking over several high passes. Undeterred by a disastrous first assault upon a peak, they recruited the finest Swiss guides and mounted more carefully planned expeditions. These earned Fanny several records for the highest elevation achieved by a woman: in 1906, at the then somewhat advanced age of 47, she reached the top of Pinnacle Peak, which she assessed to be 23,263 feet, establishing an elevation record not surpassed until 1934. Her greatest assets were intrepid persistence and her resistance to altitude sickness. Above 18,000 feet, climbers commonly experience intensifying dizziness, weakness, and the threat of fatal edemas. These effects can fell the strongest yet bypass those with far less stamina, thus diminishing the advantages men routinely enjoy in other sports. Fanny’s naturally slow pace made swift ascents impossible, so her assaults had to be carefully planned with routes she could manage and multiple overnight camps, allowing her to acclimate to higher elevations and replenish her energy. Ironically, her own limitations revealed to her this cornerstone principle of high-peak mountaineering. Ironically, her determination to prove herself the equal of any man at lofty elevations culminated with a withering attack on an American woman who tried to surpass her. 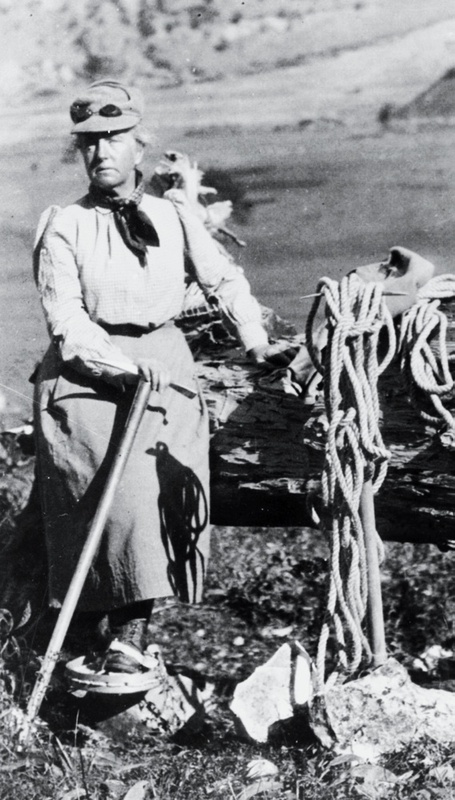 Annie S. Peck was as adept as Fanny at climbing and self-promotion, but had to rely on lectures and newspaper articles to finance her expeditions; her audiences valued drama and daring over science and accuracy. After success in her fifth attempt upon Mount Huascaran, in Peru, Peck claimed that its 24,000-foot summit gave her the world record for elevation. Had she not reported this to the Bulletin of the American Geographical Society, Fanny might never have noticed, but her outrage at Peck’s unsubstantiated boast spurred her to send eminent surveyors to check it; they found Huascaran a thousand feet lower than Pinnacle Peak. If Fanny Workman ever receives the recognition she deserves for her feminist determination to excel at this then-male sport, she will surely be remembered as much for her insistence upon accurate record-keeping as for the elevations she achieved. 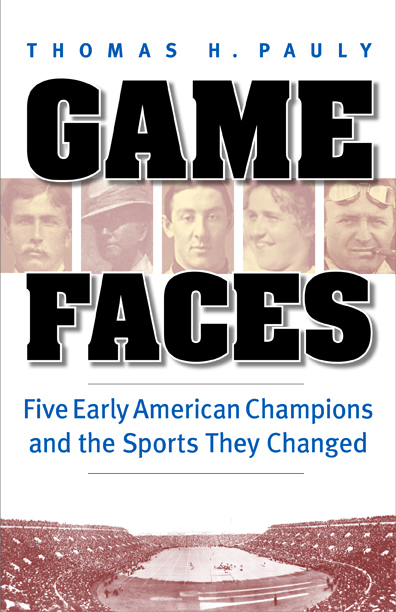 Thomas H. Pauly ’62, recently retired as professor of English at the University of Delaware, is the author of a new book, Game Faces: Five Early American Champions and the Sports They Changed (Nebraska), which reports not only on Fanny Workman but also on Harvard football coach Bill Reid, who played a key role in saving the sport from a national movement to abolish it in 1905. Pauly wrote a previous Vita for the magazine on novelist Zane Grey.